C. Grimaldis Gallery is the longest continually operating gallery in Baltimore. The Gallery specializes in post-WWII American and European art with an emphasis on contemporary sculpture. 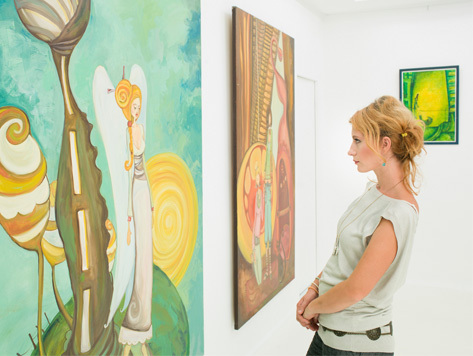 The Gallery represents more than 40 nationally and internationally established artists, and has been responsible for hundreds of important solo and group exhibitions that have launched and sustained the careers of many artists. Artists represented by the Gallery include Chul Hyun Ahn, Anthony Caro, Elain deKooning, Jose Manuel Fors, Caroline Ramersdorfer, Richard Serra, Alexey Titarenko, and John Waters. The Gallery is also responsible for the estates of Grace Hartigan and Eugene Leake.